See How You Can Earn a $50 Credit for Supporting ARRL! This is the final edition of The ARRL Letter for 2015. There will be no editions of The ARRL Letter or ARRL Audio News on December 24 or December 31. Both will return on January 7, 2016. 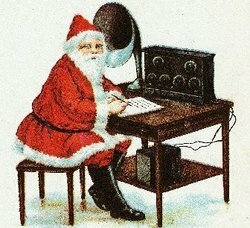 ARRL Headquarters will be closed on December 25 and January 1, and there will be no W1AW bulletins or code practice on those days. We wish everyone a safe and enjoyable holiday season and a happy new year! ARRL Chief Executive Officer David Sumner, K1ZZ, will deliver the keynote banquet address at the 2016 ARRL National Convention, held in conjunction with Orlando HamCationÂ®. The banquet will take place on Saturday, February 13, 2016, at the historic Highland Manor in Apopka, Florida. Tickets are available on the ARRL National Convention website. ARRL CEO David Sumner, K1ZZ. Sumner will retire in May, and his address will be part retrospective, part a look toward the future. He joined the Headquarters staff in 1968 for the summer and became a part of the permanent staff in 1972. He was named Secretary and General Manager of ARRL in 1982, with a change in title to Executive Vice President in 1985, and named CEO in 2001. He has traveled to more than 60 countries in connection with his ARRL and International Amateur Radio Union (IARU) responsibilities, which included 17 years as IARU Secretary. First licensed as KN1ZND in 1962 at age 13, Sumner has been active in most phases of Amateur Radio operating. He is an avid CW contester and has served on the judging committees of World Radiosport Team Championships in Slovenia (2000), Finland (2002), Brazil (2006), Russia (2010), and New England (2014). Sumner is the trustee of the Hiram Percy Maxim Memorial Station W1AW and of IARU club station NU1AW. ARRL EXPO, the focus of the League's national convention, will feature an array of ARRL exhibits and programs. The League also will sponsor several presentations and forums. Visit the 2016 ARRL National Convention website for additional details and information. 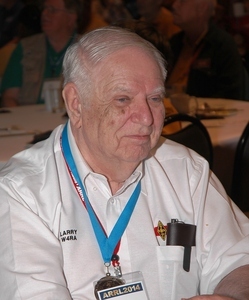 Larry Price, W4RA, a President Emeritus of ARRL and of the International Amateur Radio Union (IARU), has been appointed as the inaugural honorary member of the Canadian Amateur Radio Hall of Fame. The appointment, announced by the Hall of Fame Board of Trustees, followed his nomination by the Radio Amateurs of Canada (RAC) Board of Directors. The RAC said the honor recognizes Price's "many years of support of Radio Amateurs of Canada and Amateur Radio in Canada." In 2014, Price, who has been active in Amateur Radio leadership roles for more than 30 years, was named Dayton HamventionÂ® Amateur of the Year. His other past honors include the highest award of the Norwegian Radio Relay League, Knight of the Order of the Golden Key, for his many years of service to the IARU, ARRL, and Amateur Radio in general. RSGB also has honored Price with its Calcutta Key, for promoting international goodwill. In 2006 the Quarter Century Wireless Association (QCWA) elected Price to its Hall of Fame. He is an ARRL Life Member and a member of the ARRL Maxim Society. Price served as ARRL president from 1984 until 1992 and as IARU president from 1999 until 2009. Among other accomplishments, he has been credited with protecting Amateur Radio frequency allocations; the adoption of ITU Recommendation ITU-R M.1544 -- minimum qualifications of radio amateurs; expansion of 40 meters in ITU Regions 1 and 3, and the allocation of new Amateur Radio LF bands. The FCC Enforcement Bureau has entered into a consent decree with a Florida radio amateur to resolve an investigation into whether the licensee violated Sections 97.113(b) and 97.119(a) of the FCC rules by transmitting one-way communications and failing to identify. As part of the deal, Thomas J. Warren, K3TW, of Lecanto, Florida, will pay a monetary penalty. The FCC issued an Order incorporating the Consent Decree on December 9 in the case, which dates back to June 2015. "In response to complaints that an unidentified station was transmitting on an Amateur Radio frequency at 14 MHz, FCC agents determined that the transmissions were coming from Mr Warren's residence," the FCC said in its December 9 Order. "To settle this matter, Mr Warren admits that he failed to transmit his assigned call sign, violated the Commission's rules, will report any noncompliance with rules governing the Amateur Radio Service, and will pay a $3500 civil penalty." The Consent Decree provided a few more details of the case. The FCC recounted that, after tracking down the unidentified transmissions to Warren's residence, Warren conceded that he had not identified at least some transmissions that he'd made that day. "The agents issued an on-scene written warning to Mr Warren regarding the violations," the FCC said in the Consent Decree. "In his written response to the warning, Mr Warren acknowledged that he may have failed to transmit his station identification as required on June 25, 2015." According to the Consent Decree, Warren's transmissions "related to an ongoing dispute with another Amateur Radio operator, whose intentional interference had allegedly disrupted communications on the American Foreign Service Net that operates weekly on 14.316 MHz." Read more. Alaska will soon have a new ARRL Section Manager. Ray Hollenbeck, KL1IL, of Wasilla, Alaska, has been appointed to succeed Jim Larsen, AL7FS, effective on January 1. Hollenbeck's appointment will be in effect for the first half of 2016. He has served as an ARRL Emergency Coordinator for nearly 7 years. ARRL Manager of Field Services and Radiosport Dave Patton, NN1N, made the appointment in consultation with Northwestern Division Director Jim Pace, K7CEX, and the outgoing SM. Larsen, of Anchorage, who will complete his fourth term as Alaska SM at year's end, decided not to run for another term after serving for the past 8 years. When the call for nominations for the next term of Alaska Section Manager was announced this past summer, no nominating petitions were submitted by the early September deadline. In accordance with ARRL Field Organization Rules and Regulations, the Section Manager's position is being resolicited (see the January 2016 issue of QST, page 77). A Section Manager elected through resolicitation will serve a term of 18 months -- in this case, starting on July 1, 2016. Details about the Section Manager nominating process are available on the ARRL website. The ARRL is inviting nominations for awards that recognize educational and technological pursuits in Amateur Radio. Nominations are also open for the League's premier award to honor a young licensee. The Hiram Percy Maxim Award recognizes a radio amateur and ARRL member under age 21, whose accomplishments and contributions are of the most exemplary nature within the framework of Amateur Radio activities. Nominations for this award need to be made through your ARRL Section Manager, who will then forward the nomination to ARRL Headquarters by March 31, 2016. The ARRL Herb S. Brier Instructor of the Year Award honors an ARRL volunteer Amateur Radio instructor or an ARRL professional classroom teacher who uses creative instructional approaches and reflects the highest values of the Amateur Radio community. The award highlights quality of and commitment to licensing instruction. Nominations are due by March 15, 2016. The ARRL Microwave Development Award pays tribute to a radio amateur or group of radio amateurs who contribute to the development of the Amateur Radio microwave bands. The nomination deadline is March 31, 2016. The ARRL Technical Service Award recognizes a licensed radio amateur or group of radio amateurs who provide Amateur Radio technical assistance or training to others. The nomination deadline is March 31, 2016. The ARRL Technical Innovation Award is granted to a radio amateur or group of radio amateurs who develop and apply new technical ideas or techniques in Amateur Radio. The nomination deadline is March 31, 2016. The Knight Distinguished Service Award was established to recognize exceptionally notable contributions by a Section Manager to the health and vitality of the ARRL. The nomination deadline is April 30, 2016. The ARRL Board of Directors selects recipients for these awards. Winners are typically announced following the Board's July meeting. More information about these awards is on the ARRL website, or contact Sean Kutzko, KX9X, tel (860) 594-0328. 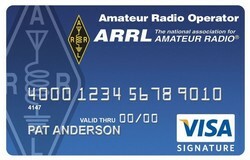 There's never been a better time to sign up for the ARRL Visa SignatureÂ® Card. Now, in addition to a long list of great everyday benefits, you'll receive a $50 STATEMENT CREDITâ when you spend just $200 on your card within the first 90 days of account opening. Plus, a portion of every card purchase will be contributed automatically to ARRL. Don't wait. Special offer ends 12/31/15. Apply today! We may change APRs, fees, and other account terms in the future based on your experience with U.S. Bank National Association and its affiliates as provided under the Cardmember Agreement and applicable law. â Subject to credit approval. Account must be open and in good standing (not past due) to earn bonus points. Please wait 6-8 weeks for account to be credited. The creditor and issuer of the ARRL Card is U.S. Bank National Association, pursuant to a license from Visa U.S.A. Inc. The 2015 CW Rookie Roundup is Sunday, December 20. Rookies can take up their Morse keys (or keyboards) and "pound some brass" in pursuit of Rookies and Non-rookies alike. Rookies -- anyone licensed for 3 years or less -- get on the air and call "CQ RR," so other participants can find them. Grizzled CW veterans call "CQ R" (CQ Rookies). W6YX at Stanford University hosted a multioperator Rookie Roundup in 2013. 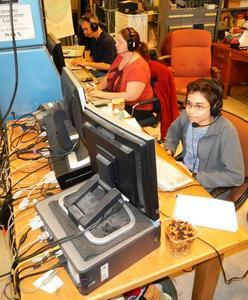 Veteran operators are encouraged to invite new hams to use their stations and give CW a try, or to invite several newbies over and have a multi-op. This also is great practice for Straight Key Night on New Year's Eve, so limber up those sending skills and help to introduce the joys of CW to a new generation of hams! This is also an excellent opportunity to take a crack at contesting, during an event designed for newcomers. Rookie entrants are encouraged to read "HF Contesting - Good Practices, Interpretations and Suggestions." the ISS about 6 hours later. The UK ARISS team is assembling a mobile Earth station, to be installed at the school on the day of the contact. The team recently visited Goonhilly Earth Station in Cornwall to commission a dish to receive the 2.4 GHz HamTV DATV transmissions from the ISS. 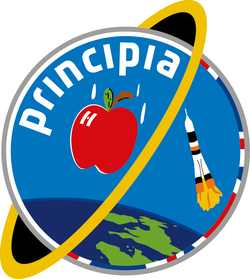 The ARISS activities have been designed to maximize the impact of Peake's "Principia Mission" outreach by directly engaging students with communication technologies and inspiring them to pursue careers in science, technology, engineering, and math (STEM) fields. "Both Tim's space mission and Amateur Radio have the power to inspire young people and encourage them into STEM subjects," said Jeremy Curtis, Head of Education at the UK Space Agency. "By bringing them together we can boost their reach and give young people around the UK the chance to be involved in a space mission and a hands-on project that will teach them new skills." Family & Community Services Inc (F&CS), with a check for $3,851 to support the Center's efforts. An ARRL-affiliated special service club, PCARS has more than 200 members. The club sponsors licensing and upgrading classes as well as operating events and project-building sessions each month. "This is truly a clear example of the impact that the Center has on our community," Frisone said in accepting the club's contribution. 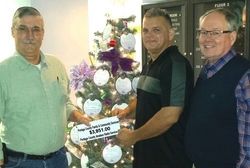 "It is generous donations from area organizations that give us the resources to continue to help those in need." The Center of Hope is dedicated to enhancing the nutrition of low-income people in Portage County where there are no local food pantries. The center provides free hot meals 5 days a week for 75 to 100 individuals. Groceries are also available monthly through the Christian Cupboard, free of charge, dependent upon an individual's income. Alexanderson alternator transmitter station SAQ at the World Heritage Grimeton site in Sweden will continue a holiday tradition begun 10 years ago when it takes to the airwaves on Christmas Eve, December 24. There will be a CW transmission from the Alexanderson alternator on 17.2 kHz from Grimeton Radio/SAQ at 0800 UTC on December 24, with transmitter tune-up starting at 0730 UTC. Amateur Radio station SK6SAQ will not be active this year, because the radio room is being refurbished. The Alexanderson Association website has information on how to receive the VLF signal. SAQ accepts listener reports via e-mail, direct mail to Alexander-Grimeton Veteranradios Vaenner, Radiostationen Grimeton 72 SE-432 98 Grimeton, Sweden. The radio station will be open to visitors. The vintage SAQ Alexanderson alternator, dating from the 1920s, is essentially an ac alternator run at extremely high speed. It can put out 200 kW, but typically is operated at less than one-half that power level. Once providing reliable transatlantic communication, it is now a museum piece and only put on the air for special occasions. 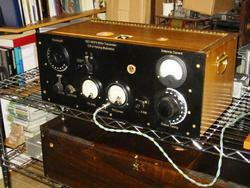 The transmitter was developed by Swedish engineer and radio pioneer Ernst Alexanderson. 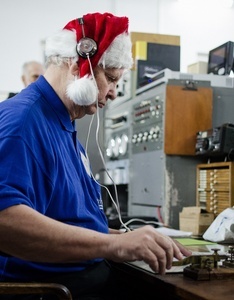 Brian Justin, WA1ZMS, will again put his 600 meter Experimental Station WG2XFQ on the air on for a Christmas Eve commemorative transmission. WG2XFQ will transmit on 486 kHz from Forest, Virginia, to mark the 109th anniversary of Reginald Fessenden's first audio transmission. Historic accounts say Fessenden played the violin -- or a recording -- and read a brief Bible verse. 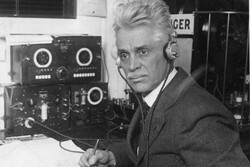 It's been reported that other radio experimenters and shipboard operators who heard Fessenden's broadcast were astounded. Justin will conduct a run-up to this year's event starting at around mid-day Eastern Time on December 23. The "official" Christmas event will begin on December 24 at 0001 UTC (the evening of December 23 in US time zones) and will continue for at least 24 hours. Justin said he plans to repeat the commemorative transmissions on New Year's Eve and on New Year's Day. Fessenden's transmitter was an ac alternator, modulated by placing carbon microphones in series with the antenna feed line. Justin's homebuilt station is slightly more modern, based on a 1921 vacuum tube master oscillator power amplifier (MOPA) design. Listener reports are appreciated and may be sent directly to Brian Justin, WA1ZMS, at his QRZ.com address. Ofcom, the UK telecommunications regulator, has revoked the first batch of Amateur Radio licenses that had not been "revalidated" by their holders. Ham licenses in the UK used to expire annually, but in 2006, Ofcom began issuing lifetime licenses, which remain in effect until the agency takes specific action to revoke them. Ofcom has canceled some Amateur Radio licenses in the past, when the licensee has specifically requested, but revocation is a different administrative process altogether. Ofcom announced earlier this fall that it would begin revoking the licenses of those who had not revalidated their ham tickets, as UK regulations require; 529 licenses were in the initial batch. Ofcom's revocation procedure for the first group of revocations took about 7 weeks, from the initial announcement to the revocations on December 4. A formal appeal process is in place, but Ofcom reported that no one has taken advantage of it so far. Some estimates have suggested that the number of unvalidated Amateur Radio licenses might number in the tens of thousands, but the actual figure won't be known until Ofcom has completed its work on the project, which is said to be time consuming and labor intensive. It could be some time before the backlog is cleared. Read more. Isidro Gabino "Gabi" San Martin Hernandez, EB1BT, of Leon, Spain, died on December 11 as the result of a 9-hour shootout in Kabul, Afghanistan. He was 48 and the father of four. San Martin was part of a police contingent guarding the Spanish Embassy in Kabul when a car bomb, believed set by the Taliban, exploded at the Embassy Guest House gate. The bombers then entered the compound, and a gun battle erupted. At least seven members of the diplomatic staff were killed, including San Martin and another police officer who died in the residential block of the embassy. Gabi St Martin Hernandez, EB1BT. 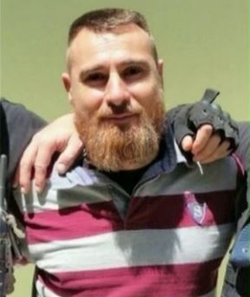 Europa Press reported that San Martin, who volunteered to serve at the embassy in Kabul, was stationed at the Police Intervention Unit of Oviedo, although on Friday he was working as part of the embassy security team. The online 20 Minutos reported that San Martin left a safe location to look for one of his colleagues and ran into gunfire. Santa Claus Arctic Circle Team Active: The Santa Claus Arctic Circle Team will be active as OH9SCL (Santa Claus Land) and OF9X (Old Father 9 Christmas) from the Finnish Lappland above the Arctic Circle during December. OH9SCL and OF9X have been on the air each holiday season for the past 30 years. Activity will be mostly on the HF bands, on all modes. The activity is organized by the Radio Club of the Arctic Circle, OH9AB, and the Radio Club of Pusula, OH9W, and supported by Radio Arcala, OH8X. QSL via OH9AB. For more information and updates, visit the OH9AB website or the Santa Claus Land Facebook page. Kosovo Amateur Radio Association SHRAK Joins International Amateur Radio Union: The International Amateur Radio Union (IARU) has announced that the Kosovo Amateur Radio Association, (SHRAK) has been accepted into membership as the result of a second vote by member societies. The action has no effect on Kosovo's DXCC status. Kosovo was proposed for IARU membership in 2014, but the proposal failed. Two affirmative votes arrived after the ballot deadline, however, and IARU Region 1 requested the IARU International Secretariat to conduct another vote, which did result in SHRAK's receiving the necessary affirmative votes. With a history that dates back to the days of the former Yugoslavia, SHRAK was reconstituted in 2012, when the government authorized the establishment of an Amateur Radio Service, and SHRAK established a training and licensing program. Vjollca Caka, Z61VB, is SHRAK's president. Special event station Z60IARU is expected to be on the air for the closing days of 2015 as part of the IARU's 90th anniversary commemoration. 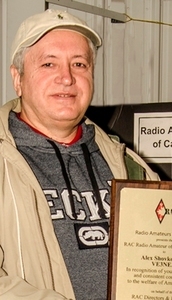 CW Skimmer Developer Alex Shovkoplyas, VE3NEA, Receives RAC Radio Amateur of the Year Plaque Radio Amateurs of Canada (RAC) honored CW Skimmer developer Alex Shovkoplyas, VE3NEA, as its 2014 Radio Amateur of the Year, and he received the plaque on October 31 at the annual York Region Hamfest near Toronto. Presenting Shovkoplyas with the plaque was the new RAC Ontario South Director Phil Mcbride, VA3QR. The plaque cites Schovkoplyas for "outstanding and consistent contribution to the welfare of Amateur Radio." A contesting tool, CW Skimmer interprets call signs sent in CW over a wide receiver bandwidth and identifies waterfall traces by call sign. The extracted call signs then are exported as DX spots. He's also developed other free software packages for Amateur Radio, including the propagation tool Ham Cap. Tad Cook, K7RA, Seattle, reports: Solar activity increased over the past week, compared to the previous 7 days. The average daily sunspot number for December 10-16 was 74.3, up from 48 over December 3-9. Average daily solar flux increased from 102.2 to 118.6. Geomagnetic indices were also higher, with the planetary A index going from 9.9 to 15.6, and the mid-latitude A index from 6.6 to 11.3. The latest prediction from USAF/NOAA forecasters shows daily solar flux at 125 on December 17-19; 120 on December 20-21; 115 on December 22-24; 110, 105, and 98 on December 25-27; 95 on December 28-29; 98 on December 30-31; 100 on January 1-2; 105 on January 3; 110 on January 4-6; 115 on January 7-9; peaking at 130 on January 11-13, then dropping back below 100 after January 22. The predicted planetary A index is 5 on December 17-26; 18, 15, and 10 on December 27-29; 5 on December 30-31; 15, 20, 18, and 10 on January 1-4; 8, 20, 18, and 12 on January 5-8, and 10, 8, 18, and 25 on January 9-12. The planetary A index then quiets down to 5 on January 16-22. HF radio conditions look promising over the next 10 days, with low geomagnetic activity and sustained sunspot activity and solar flux. Sunspot numbers for December 10 through 16 were 86, 77, 89, 74, 81, 64, and 49, with a mean of 48. The10.7 centimeter flux was 108.5, 113.7, 116.7, 122.5, 124, 118.9, and 126.2, with a mean of 102.2. Estimated planetary A indices were 23, 20, 12, 8, 22, 17, and 7, with a mean of 9.9. Estimated mid-latitude A indices were 18, 14, 8, 6, 15, 13, and 5, with a mean of 6.6. Find ARRL on Facebook! Follow us on Twitter!